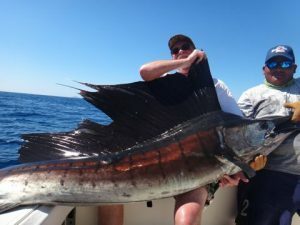 The Pacific Sailfish is a sailfish native to the Indian and Pacific Oceans. 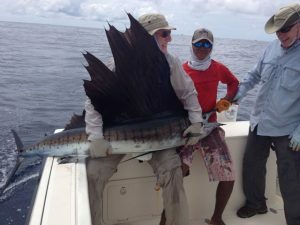 It is dark blue on top, brown-blue laterally, silvery white underbelly. 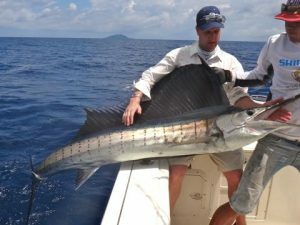 Inhabits tropical and subtropical waters near land masses, usually in depths over 6 fathoms, but occasionally caught in lesser depth. Pelagic and migratory, sailfish usually travel alone or in small groups. 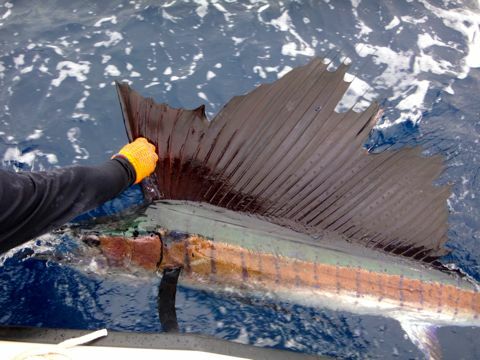 They appear to feed mostly in midwater along the edges of reefs or current eddies. 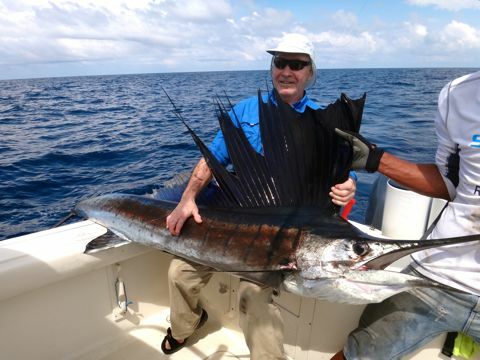 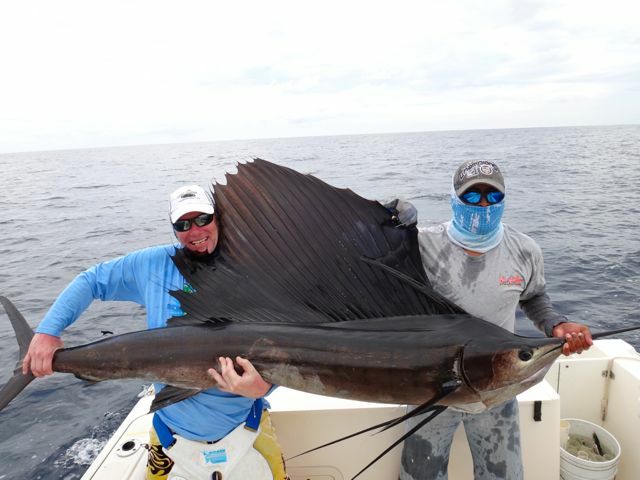 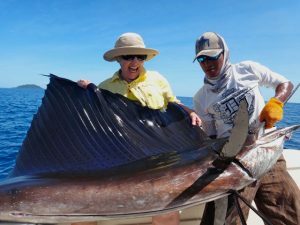 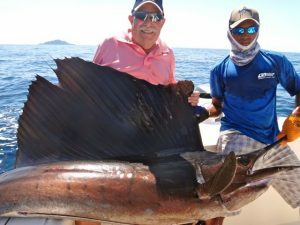 Its fighting ability and spectacular aerial acrobatics endear the sailfish to the saltwater angler, but it tires quickly and is considered a light tackle species. 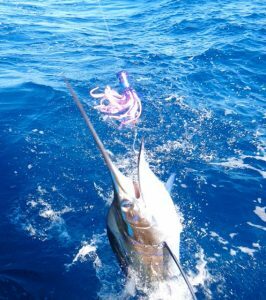 Fishing methods include trolling with strip baits, lures, feathers or spoons, as well as live bait fishing. The most action is found where sailfish are located on or near the surface where they feed. 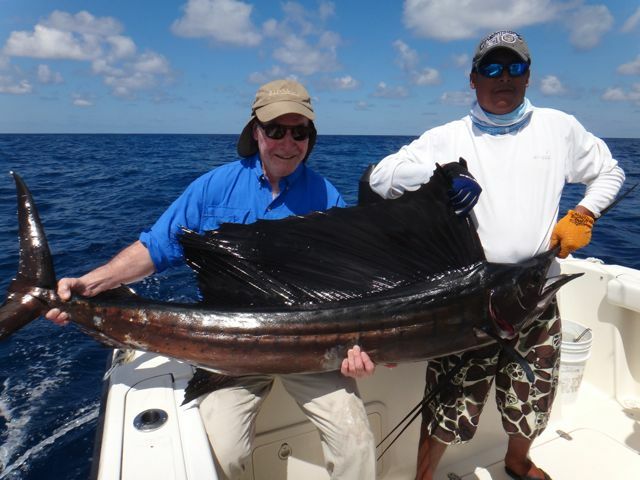 Want more Pacific Sailfish Information?